Fake Universities List Of India . University Grants Commission (UGC) today released a list of Fake Universities and according to the commission, these institutions are not entitled to confer any degree. 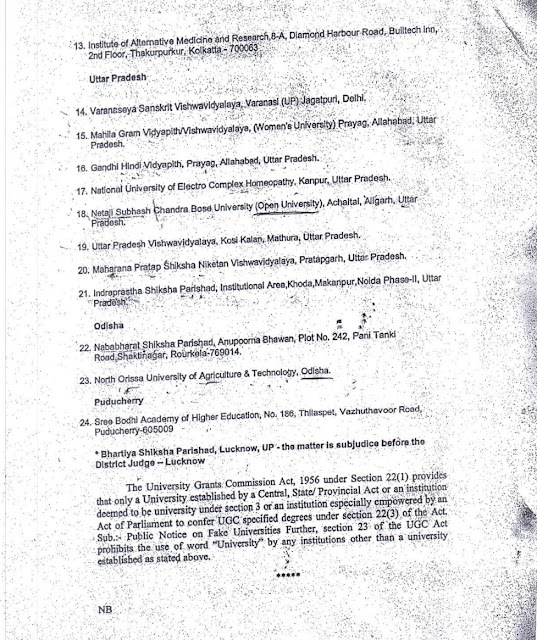 Out of the total 24 'Fake Universities', 7 of them are based in national capital Delhi. 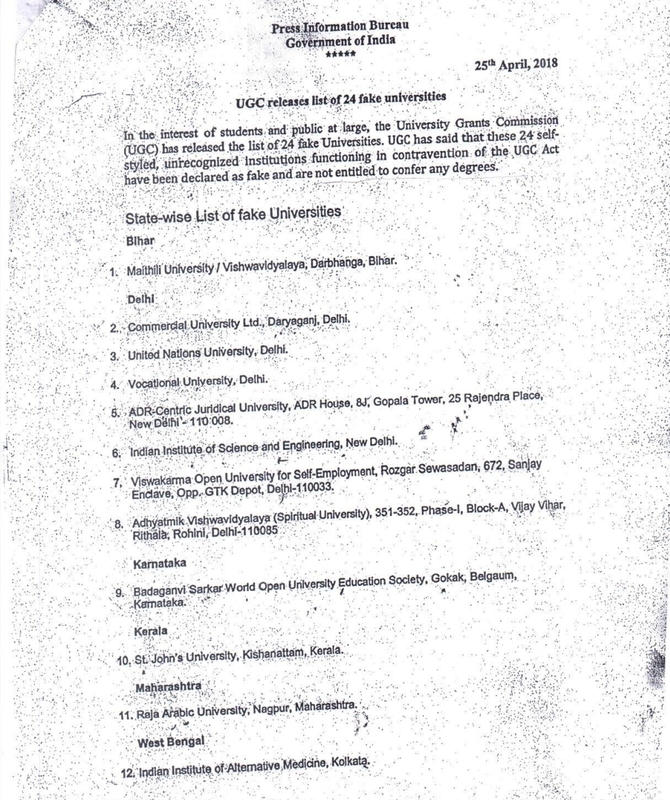 According to UGC, the higher education regulator, the detailed list is also available at UGC website www.ugc.ac.in. The commission warned the public to not to take admission in these Fake Universities. Fake Universities Apart from Delhi, the list has universities from Bihar, Karnataka, Kerala, Maharashtra, West Bengal, Uttar Pradesh, Odisha and Pondicherry.